Slowly but surely, bike sharing is taking over the world. The transformation in our lifetimes will be phenomenal, as bike sharing improves our cities and the way we move around them. But bike sharing isn’t new. It’s over 50 years old. And despite the progress being made throughout the sector, at SharingOS we know it’s only just beginning. Today we’re looking back at the history and setting out what the future of bike sharing looks like. 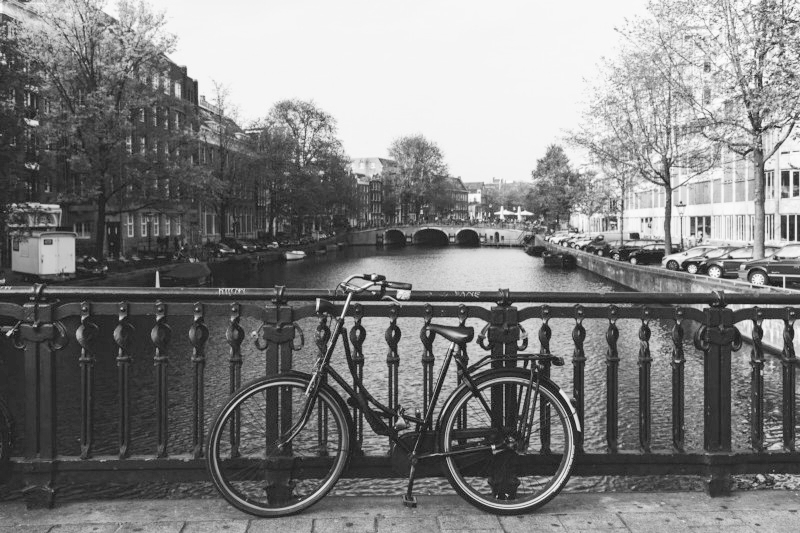 Bike sharing dates back to Amsterdam in the 1960s, where a group of enthusiasts, led by Luud Schimmelpennink, the father of bike sharing, painted 20 bicycles white and left them in public spaces for everyone to use. This wasn’t a business, rather a political statement against pollution and the growing numbers of cars that were building up on Amsterdam’s busy streets. Despite its pure intentions, the Witte Fietsenplan didn’t last long, as most of the white bikes were either stolen (as there was no security or payment system involved) or confiscated by police, worried about Schimmelpennink’s anarchist leanings. Schimmelpennink applied what he had learned to more rigorous, libertarian theories of town planning, but authorities took little notice of his schemes, claiming that in an age when car manufacturing boomed across Europe, “the bicycle belongs to the past”. How wrong they were. Although Schimmelpennink’s original ideologies ran into trouble, his updated model, involving bikes locked in metal racks and charged by the trip, began to percolate throughout Europe. During the 80s and 90s, schemes popped up in Copenhagen, Portsmouth, Vienna and Rennes, to varying degrees of success, but all relying on Schimmelpennink’s model. With improved technology providing higher security and offering users a better experience before, during and after each ride, cycling schemes imitating the Velib appeared worldwide. Advertising revenue poured into the industry, accelerating innovation, as corporations noticed an opportunity to associate with a popular, positive and environmentally-friendly movement. In London in 2010, Barclays sponsored 5,000 ‘Boris Bikes’, named after mayor Boris Johnson, as London copied Paris and fell under bike sharing’s spell. The scheme aimed to reduce the volume of cars in the UK capital, lowering congestion and improving air quality. Having enhanced the technology and moved away from the old ‘key-based’ scheme, there are now 13,600 Santander-sponsored bicycles in use throughout London. So, what does bike sharing 3.0 look like? On city streets throughout the world, you can see the next stage in the evolution of bike sharing is underway. Following success in Paris and in London, docked bike systems, where users use keys or fobs to unlock their cycles, were deployed to every corner of the globe. But, with the advent of smartphone technology, the next stage of development is taking us one step further. Dockless bikes are now being used throughout the world, fitting the broader network of smart cities as they are adopted along with other integrated mobility solutions. Schemes are flourishing in Europe, the US and throughout Asia, most notably in China, which has grown to be the world’s biggest bike sharing location. In many cities, especially in Europe and US, we still see a hybrid solution, with dockless cycles being supplemented with docks, allowing all users, whatever their preferred method of sharing, to move safely and easily around a city. Indeed, here at SharingOS we’re excited to be unveiling hybrid docks in a number of locations soon. The future likely involves this hybrid model, but we shouldn’t discount dockless bike sharing. The hybrid approach may be more appropriate in certain markets, but dockless sharing works in markets where it’s done properly. Bike sharing 3.0 is a radical departure from everything that’s gone before it, due to the underlying technology that we’re using to power it. Technology enables bike sharing to be integrated with other solutions, creating an integrated mobility sharing economy. Bike sharing is just one piece of a larger change in the way we move around our cities. The rise of bike sharing is being accelerated by a raft of corporate and financial activity, as investors pile into crowded funding rounds and established ride sharing players get in on the action in order to build out holistic mobility sharing offerings. In April, Uber bought e-bike-sharing startup Jump, and Lyft is said to be interested in buying Motivate, another e-bike company. Despite the long history of bike sharing, we are still a long way away from our destination — an integrated mobility sharing economy that is inclusive and sustainable. Now the technological challenge has been overcome, startups and policymakers will have to contend with a new, even more formidable obstacle — a regulatory environment that’s still in its infancy. Still, where there’s a will, there’s a way. Despite the challenges that remain, a great revolution in mobility sharing has begun. At SharingOS, we want to help all stakeholders — manufacturers, cities and users — across the entire spectrum of mobility sharing thrive in this growing sector. We’re working worldwide, in Europe, in America and increasingly across Asia, too. The future is bright. As an industry, we have achieved much but, excitingly, there is still so much more to do. This article was created in association with SharingOS, a global mobility sharing platform that enables effortless, plug-and-play and sustainable solutions for partners to thrive in mobility markets worldwide.